mentioned on Henry Clayton Bizzell's card. Year: 1910; Census Place: Beat 3, Bolivar, Mississippi; Roll: T624_733; Page: 1A; Enumeration District: 0012; FHL microfilm: 1374746. Year: 1940; Census Place: Pace, Bolivar, Mississippi; Roll: T627_2010; Page: 4A; Enumeration District: 6-44. E-mail written Jul 1999 to Lew Griffin from James Heidlebaugh, e-mail address. Biography* � Mary Louise (Skinner) Beckham died in childbirth in Ocala, Florida during the trip from Arkansas to Macon, Georgia. The family had become lost and went into Florida by misstake. After several months the family moved north into Tallapoosa County, Alabama. 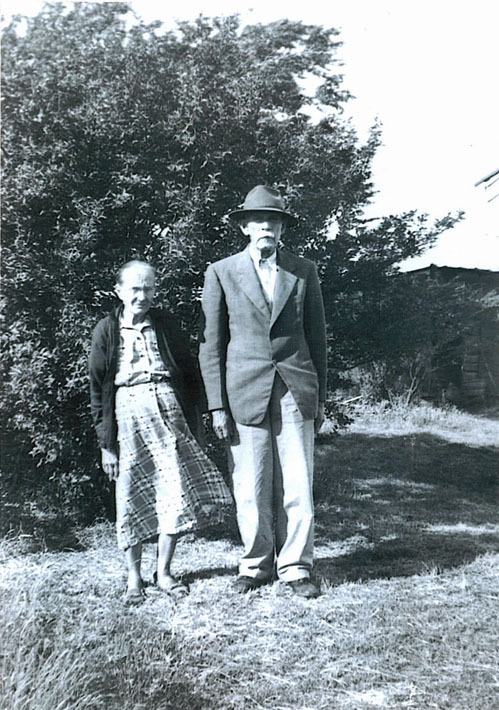 William Harmon had wanted to return to his old home in Georgia, instead he lived the remainder of his life in Tallapoosa County, Alabama. 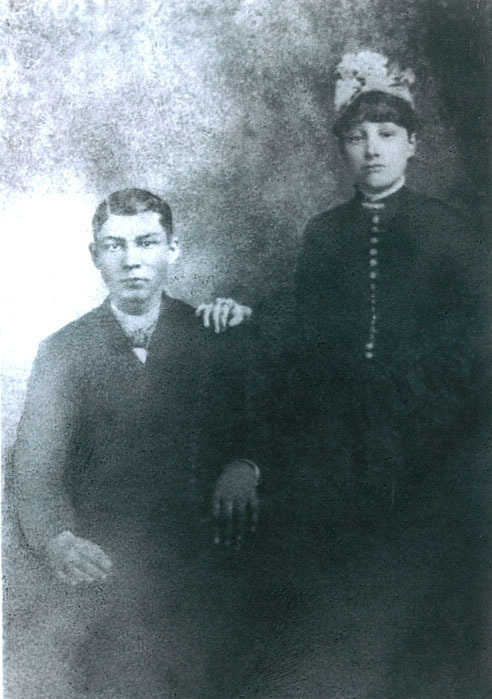 About 1888 he married the sister of his son-in-law Joseph Lumpkin. The following death notice by Frances Hudson appeared in the local newspaper at the death of William Harmon Beckham. Mr. William Harmon Beckham was born in Georgia, February 5, 1847, died in Carrville, Alabama April 5, 1924. He moved with his parents, at the age of two, to Bradley County, Arkansas. At the age of 22 her married Miss Mary Louise Skinner. To this union was born severn children: Mary Elizabeth, Emily L., Susan Rebecca, John Henry, Joseph Robert, Arabella Louise and one infant born dead. His second marriage was to Miss Sarah Jane Lumpkin, a sweet Christian Lady, who was a great helpful, faithful, loving companion throughout his life. To this union was born two children: one infant born dead, youngest Frances Mardulia. He was grandfather of 26 grandchildren and 14 great-grandchildren. He was a faithful member of the Methodish Church, a true Christian, a loving husband, and father, a loyal friend, rearing a religious family. He was a stranger to vice, never indulging in follies of this life; honest, honorable, industrious, always growing stronger in the grace of our Lord. He held family prayer for 35 years, a quiet, gentle, modest, tender man, a beautiful soul, a wonderful example to young and old. Knowing that death was near, he talked of it and in a calm manner. We feel that he has gone to dwell with his savior. E-mail written Apr 2011 to Lew Griffin from Donna W. Drake, 9320 SW 24th Street, Oklahoma City, OK 73128, Phone (405) 261-0224.